Add a new revenue stream to your business. Engage job seekers, while keeping your site fresh. A wide selection of the best job postings is the life blood of any job board. 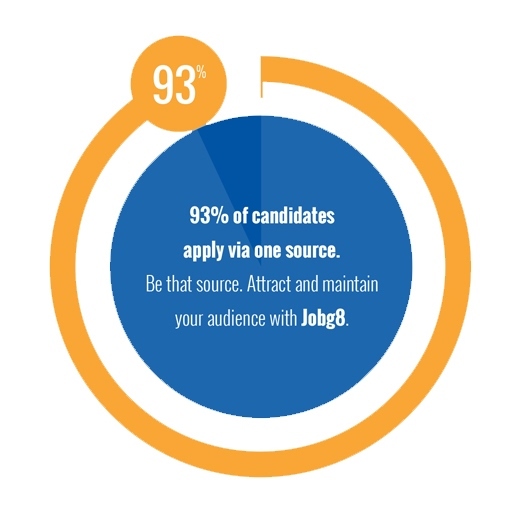 Job seekers will use your website if they find jobs that match their skill sets. Jobg8 technology remains behind the scenes, while you strengthen relationships with your clients. You get all of the credit. - Receive revenue each month for job seeker activity. We pay you when your candidates review or apply for jobs. - Set your own sell rate, by Click or by Application. - Fresh jobs delivered on a regular basis. - Jobs specific to your niche/audience. - Jobs styled to look like your own content, keeping your job seekers on brand.